Vino Vino is a sophisticated wine and cocktail bar with an informal, convivial atmosphere, that since opening in 2014 has fast become something of an institution in Bath. There is an extraordinary array of choice with a thoughtful selection of wines by the glass, a testament to the passion for wine that the owners have. An expertly chosen cocktail list complements the wine menu, ensuring that there is something on offer for every palate. Vino Vino is renowned for its' excellent selection of Artisan cheese and charcuterie, delicious sharing boards and tapas style plates. We have a smart-casual dress code that does not include stag/hen party attire. From 6pm onwards we welcome guests over the age of 18 only. At Vino Vino the wine list has been carefully chosen with wines to suit all palates, with reasonable prices. 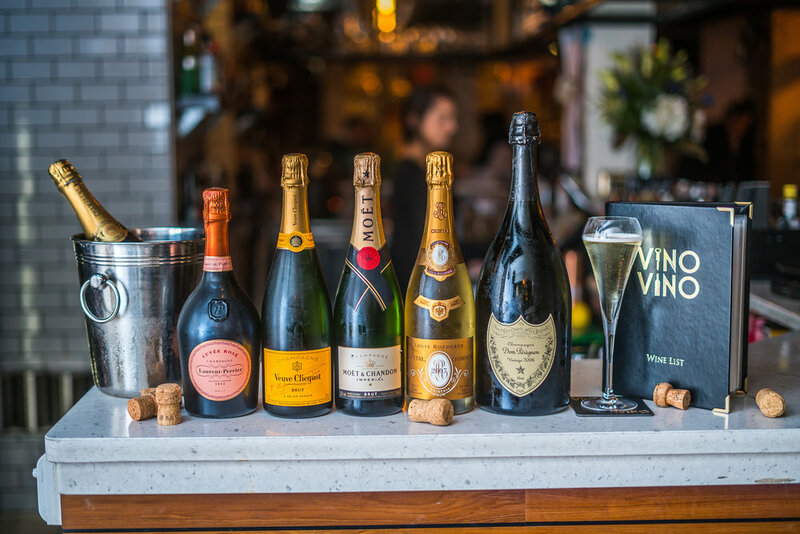 The award-winning Le Verre de Vin preservation system we use allows us to offer a comprehensive range of Champagnes and wines by the glass, without compromising on quality, ensuring each wine is kept in perfect condition. Our unique cocktail list has been designed with the emphasis on creativity, whilst retaining the balance between classic and stunning signature concoctions. We offer a perfect mix of warm, friendly service in a sophisticated, relaxed atmosphere. We offer a seasonally changing selection of cheeses, charcuterie and bar plates, all of which lend themselves perfectly to sharing with friends, continental style. Many of our cheese are sourced locally in Somerset, with The Thoughtful Bread Company, Bath, supplying our fantastic bread and scrumptious desserts. Vino Vino is located in the heart of the beautiful city of Bath, close to the Theatre Royal. Our large al fresco terrace is furnished with cosy blankets and heated parasols, making Vino Vino the perfect place to relax with a glass of wine and some good food, whilst watching the world go by.